At our Kia dealer serving Manassas, the finance department is always available to aid you in your car buying expenditures- no matter your credit. We’ve staffed this department with the most qualified employees as they have contacts both locally and nationally to successfully secure you the loans necessary. As we’ve mentioned before, your satisfaction is our primary concern. When you’ve happily secured the necessary loans, whether you’re buying new or used, we know we’ve succeeded. Don’t forget to be on the look out for our Manassas area Kia finance specials. At our Manassas area Kia dealer, we understand that time is of the essence and it is not to be wasted. This, of course, is why we’ve included an online finance application for your convenience. Completing this application before you pay us a visit will also save you time in our dealership. We know just how excited you are to purchase your new Kia as soon as possible. We have a wide variety of existing loans, for all types of credit, that are available for our customers. We guarantee that we can help you find the perfect loan to fit your current load. As we are very flexible, we can adjust the contract terms to better work with your needs! Have you experienced a divorce? Bankruptcy? Foreclosure? In many cases, events like these can have a significant impact on your financial situation and negatively affect your credit. When you end up in a position where you absolutely have to have another car, truck, van, or SUV in order to fulfill your daily obligations, it can sometimes to be a struggle to obtain auto financing. That’s where Safford Kia of Fredericksburg comes into the picture. We deal with all types of credit and work diligently on your behalf to get you into the new or used vehicle you want at a finance rate that fits your budget. Our dealership has access to a large number of lending institutions who specialize in helping those who have less than perfect credit get auto loan approval. 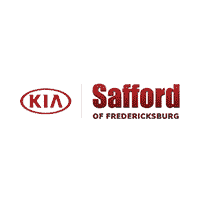 Whether it’s a brand new Kia or a quality pre-owned vehicle, Safford Kia of Fredericksburg has a wide variety of existing loans, for all types of credit, that are available for our customers. We guarantee that we can help you find the perfect loan to fit your current load. As we are very flexible, we can adjust the contract terms to better work with your needs!